Jodie Emery is feeling pretty positive these days. Her husband Marc, Canada’s so-called Prince of Pot, will be home Tuesday after a five-year jail stint in the United States. The Liberal Party of Canada, which is leading in public opinion polls, wants to legalize marijuana – something she and Marc have advocated for more than a decade. And two members of the Vancouver East Liberal riding association recently asked her to run for the party. Emery jumped in. She received her nomination papers over the weekend and is filling them out. 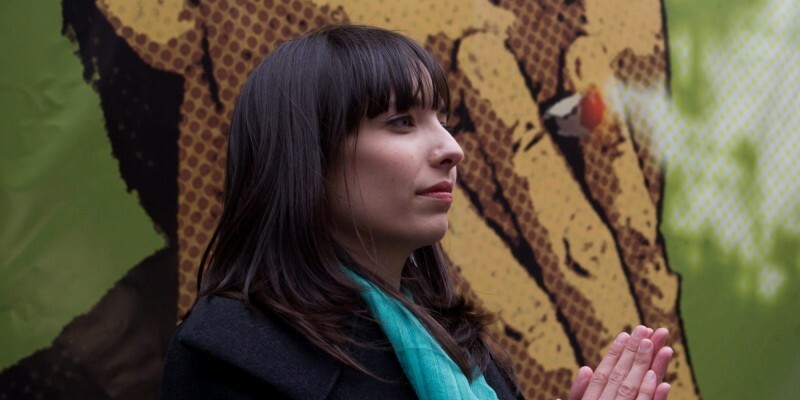 Her website jodieemery.ca is up and already encouraging folks to join the Liberal Party of Canada. She is working on a Wikipedia page. And, as she told The Huffington Post Canada in a wide-ranging interview, she really hopes Liberal members will pick her as their candidate and voters will send her to Ottawa. While Liberal insiders suggested that Emery is unlikely to pass screening in the party’s green-light process and so gain approval as a potential candidate, she believes the Grits need her. She has a celebrity status that Liberals could benefit from, she argued. “They are the third party. They did get decimated in the last election, they do need support and help, and Marc and I are people who can offer that support,” she said in a phone interview from Vancouver. Her potential candidacy is already garnering local and national headlines.